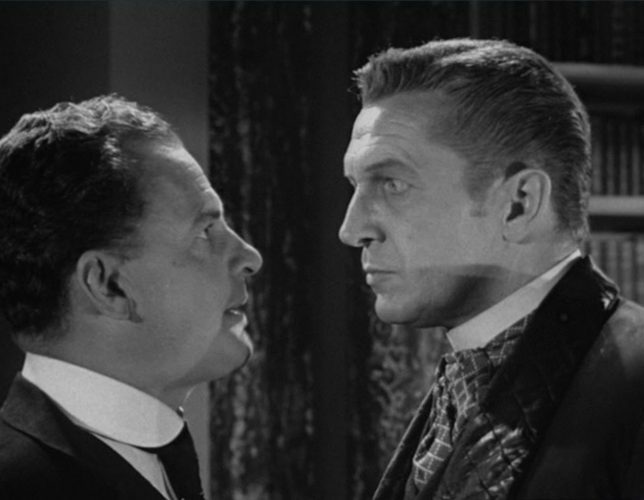 The Perfect Crime (1957) | Alfred Hitchcock Presents… Vincent Price! 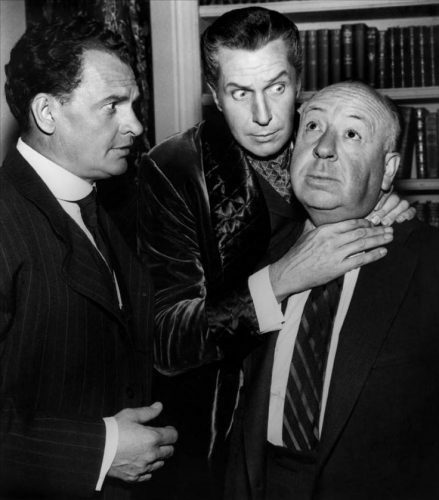 On 20 October 1957, Vincent Price and Alfred Hitchcock paired up for for an episode in Alfred Hitchcock Presents called The Perfect Crime. For many years it remained in TV heaven, but now it’s available on Netflix, DVD and the web via dailymotion (see it in full below). 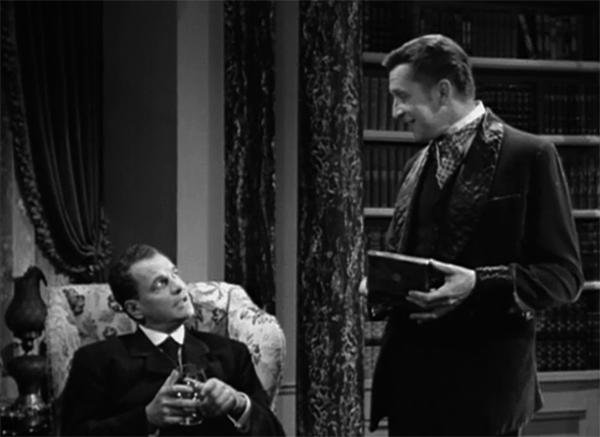 Besides having the rare distinction of being the only time that these two masters of the macabre united, this episode is also one of only a handful (20 to be exact) that was directed by Hitchcock himself. 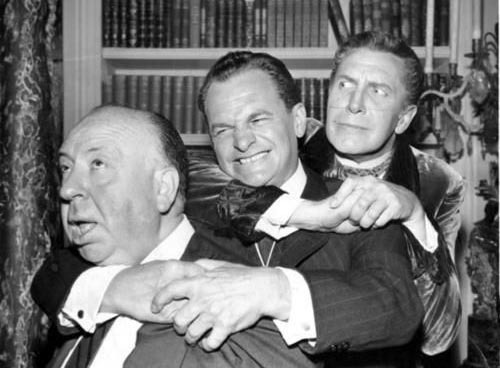 Being more talk than action, Hitch’s two-hander is quite reminiscent of the director’s big-screen thriller Rope, but he certainly ratchets up the tension with his clever camera techniques (see below), while Price is perfectly cast as the puffed-up prosecutor whose trophy case hides a ghoulish Hitchcockian twist. 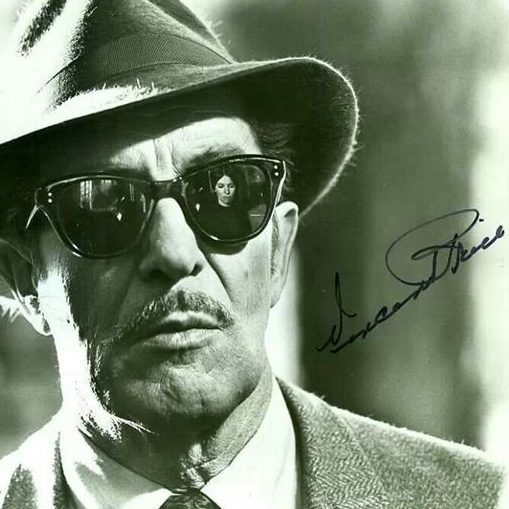 The script was written by Stirling Silliphant, who penned the screenplays for the 1970s disaster epics, The Poseidon Adventure, Towering Inferno, The Swarm and When Time Ran Out, based on a story by Ben Ray Redman; while Price’s co-star, James Gregory found fame as the opinionated Inspector Luger in the US TV series Barney Miller.